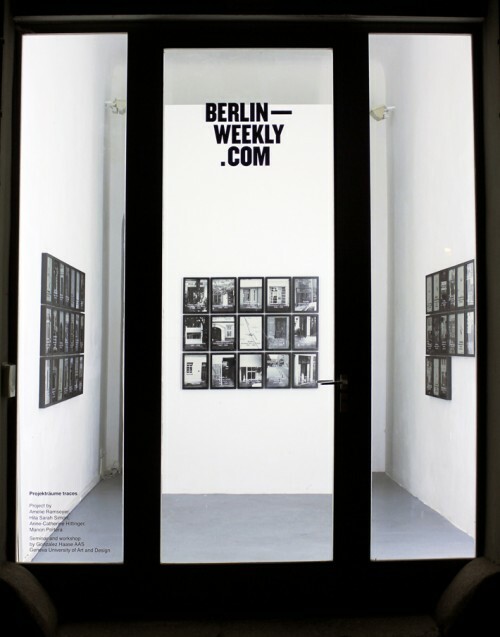 The phenomena of „Projekträume“ in Berlin is an exceptional example in the world’s art scene due, not only to the amount of available spaces in the city to shelter this movement but also by the active artistic community of Berlin which tries to find a model for collaborative projects. Since 1972 many project spaces already disappeared and many will eventually disappear because of a lack of money as well as the lack of empty affordable spaces caused by gentrification. The idea of this exhibition is to identify all of the «Dead Projekträume» to show that they existed and that nowadays their trails are minimal. Besides, default to not being known by the public, they have a place in history by taking a census of them. This is why highlighting them but also contrasting them with the ones still « alive » leads to a better comprehension of it’s history and status. 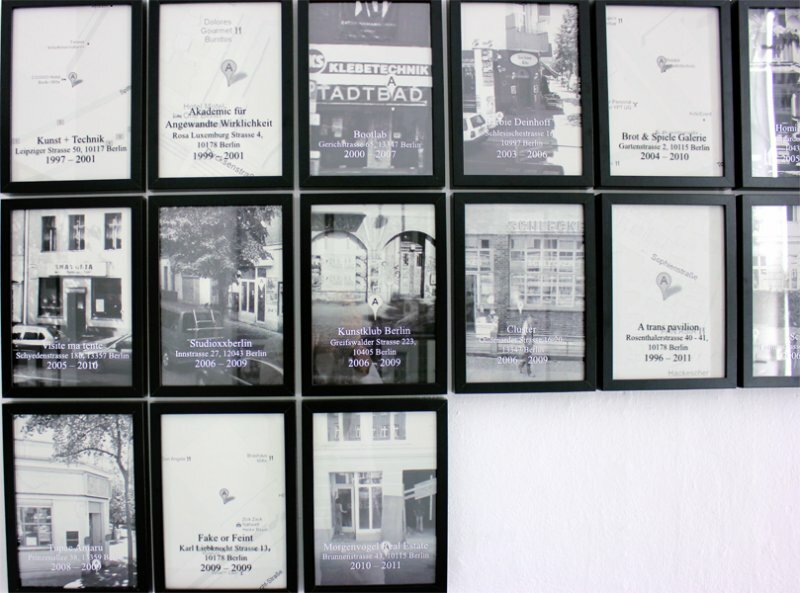 The work is based on an interactive map of project spaces produced by Severigne Marguin and on screenshots taken on Google street views of each «Dead Projekraum» address. Some of them became completely different from what they were, such as: shops, malls, bridges, hotels, restaurants, etc. 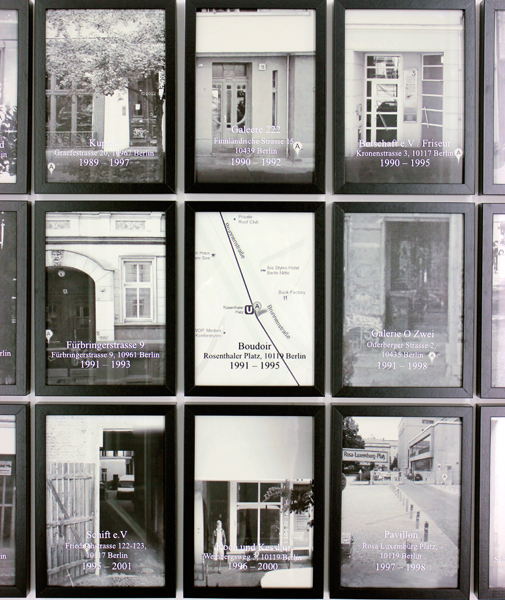 The display of this exhibition is very simple: raws of frames on walls. 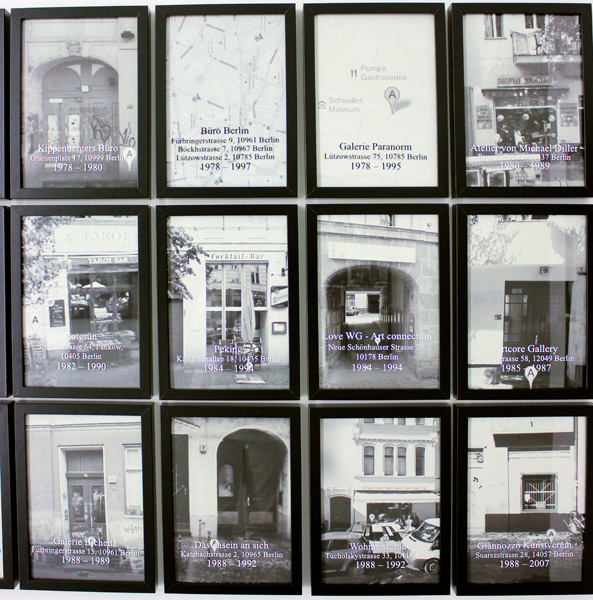 The pictures are organized from the oldest to the most recent «Dead Projekträume» creation’s date. On the last wall, a few frames are missing. With the present expansion of gentrification it probably won’t take long until also these gaps will disapear. With the installation Berlin-Weekly also tries to make the public aware of the precarious financial situation of most project spaces in Berlin.